Below are a small selection of client success stories that we’re proud to share with you. At Griffin Fit we meet with our clients every 4 weeks, outside of their usual training sessions, in order to discuss their successes and any challenges they might be facing. We believe this keeps us on top of an everyday changing lifestyle and allows us to make the appropriate adjustments to your programme as required. We help to measure your progress through the use of weekly weigh-ins, measurements, and private before & after photos to help keep you motivated. I signed up with Griffin Fit for 6 months at the end of last year, after 3-4 years of “trying to lose weight”. 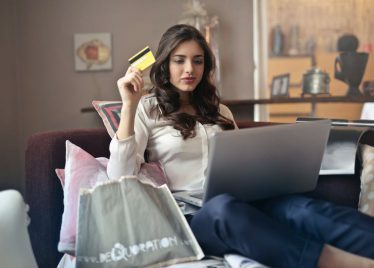 It was a big commitment for me, both financially and in terms of time – with a huge shift in lifestyle but I really wish I had done it years ago. 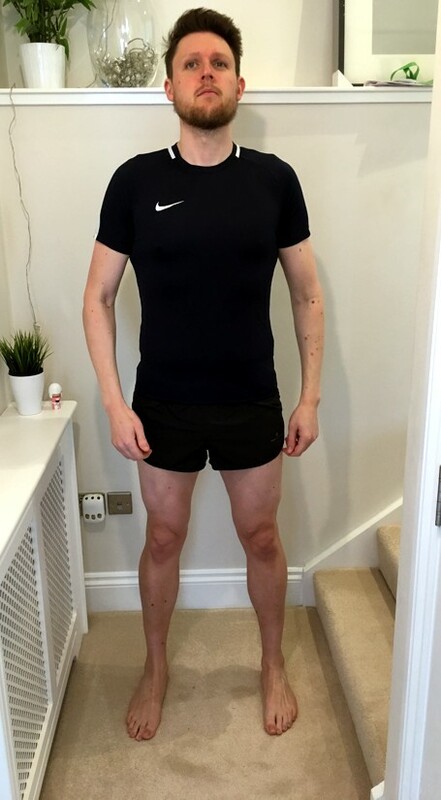 I lost 3 stone in those 6 months, and not just that but I also put on muscle and got much stronger – on some exercises I can literally lift double to what I could when I started! Having an “authority figure”, someone to be accountable to was exactly what I needed, with weekly check-ins, and also someone on hand pretty much any time to text or talk to. Having structured work-out sessions that I couldn’t avoid – meant that this time instead of trying to lose weight, I actually did and, in fact, my entire lifestyle has changed. I could not have done this without Griffin Fit, and would recommend Liz and Carla to anyone else that wants to make a big life change and get into shape. I am so pleased to give you this testimonial to the transformation you have achieved with my physical goals in the last 6 months. 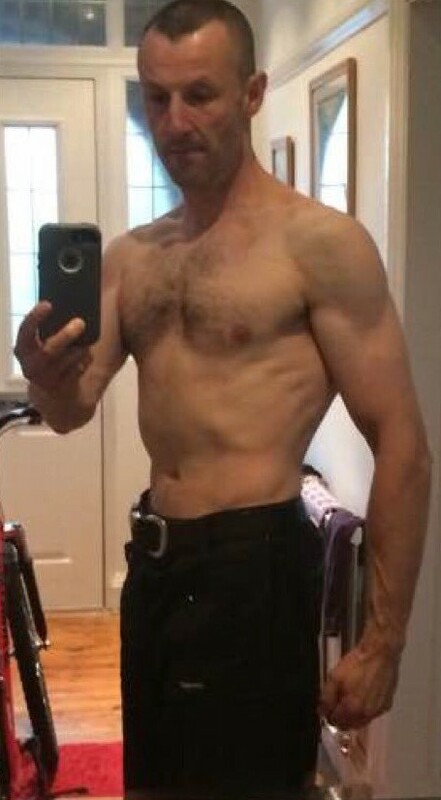 For over 30 years I have tried to train and largely failed. Ever since I was 13 years old I wanted to build a good physique and apart from a short period when I worked part time, could never find a workout that produced results and didn’t leave me injured or disillusioned. From our first meeting I can see how much you cared for your clients and that has kept me motivated and focused on achieving the goal I set, which I have exceeded. I have enjoyed the training, I am injury free, I am lighter than I have been since I was 18 and fitter and stronger than ever. Best of all my wife thinks I look good! Like most people I think the biggest struggle is the food. Your advice along with the delicious recipes and weekly check ins have kept me on track and I enjoy food so much more, and have eliminated the unpleasant symptoms from the bad habits I had developed. I could go on about the massive benefits including the great stress relief training has become for me with your coaching. I just wanted to say a huge thank you for everything. I am really relieved and happy that I have achieved my ultimate goal. It has not only allowed me to appreciate myself a lot more but it has certainly done my confidence justice by a mile. After a major setback in February 2014, I started to train with Liz three times a week regularly as opposed to once a week, Liz changed my diet completely! It was difficult for her to find the right kind of nutrition that suited my special dietary requirements, but she managed to do it without fail. At first I disliked the diet, but the nutrition plan served its purpose gradually. Personally, I was so focused on training and did not really bother too much about whether my physique had changed, I just kept going. Eventually, Liz convinced me to undergo body fat tests, it started off with 26%, then 20% and now it is currently 18.7%. 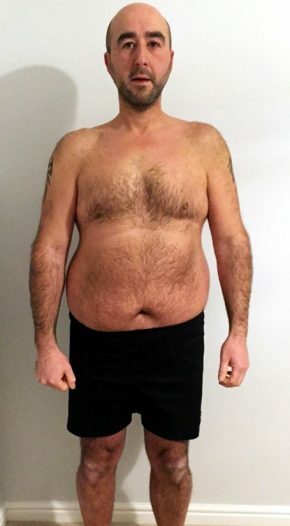 I was thrilled with the recent body fat test result. Apparently, you could notice the major transformation within me from the pictures on the social media, which is a great! More importantly, I am still the same person and have not forgotten where I was before and never will forget that! It has been an incredibly challenging journey to achieve my goal due to family and work commitments this year. I have had highs and lows, but I did not fall off the bandwagon and persevered with weight training continuously. Many people think that I am obsessed with weight training, but what they fail to realise is that you have to toil a lot of sweat, deal with the pain and work very hard. I perceive weight training as a source of stress release because it keeps me sane. Weight training is not my life, but it is very important to me, I would be lost if I did not train at all, this sounds bizarre but it is true! Weight training has made me stronger, toned, disciplined, confident and more focused. I am sincerely grateful to Liz, who has always been very supportive, flexible and she has always kept me on my toes consistently. She raises the bar every session and pushes me beyond my limits. I might be in agony afterwards but I certainly reap the benefits now due to her expertise and guidance of weight training. My journey is far from over; I will keep going until I say it is over. Thanks Liz for putting up with me for so long! You are the best without a doubt. I began training with Liz Griffin of Griffin Fit in the middle of January 2016 and for a number of different reasons. I had steadily been gaining weight for around two and a half years after allowing a back problem to be an excuse not to exercise, my diet wasn’t great, self confidence was low and I needed to turn things around. I had tried a couple of times to lose weight on my own with diet and exercise but had quickly lost motivation and failed. The turning point for me, as a keen SCUBA diver, was struggling to squeeze into my drysuit after Christmas and I turned to Griffin Fit for help. After an initial consultation Liz asked me about my goals and addressed any concerns I had about my dodgy back, she even asked what foods I liked so they could be included in my nutrition plan. Confident I was making the right decision I paid my fees, received my nutrition plan, started training twice a week and began my journey. 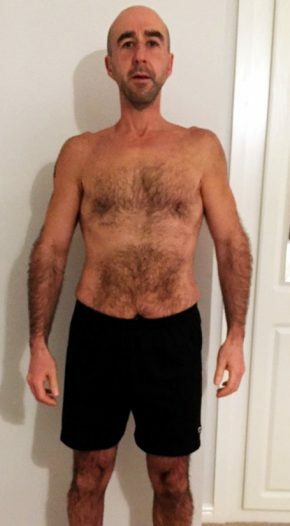 I’m just over 12 weeks along now and wanted to share some of my thoughts about Griffin Fit. Firstly the diet and nutrition plan is excellent, there are lots of tasty food choices which are all easy to prepare and all the calorie counting is done for you, it fits in with a busy lifestyle and it’s so easy to stick to. Training one to one in a private studio is great, I thought training only twice a week sounded easy but Liz knows how to push you and keep the training interesting, challenging and fun. I especially like the weekly check in day where you send in weights, measurements and photos. This accountability is important to me as I said I tried to lose weight on my own without success and knowing that someone else is taking a genuine interest in seeing that I succeed really helps with motivation. Liz offers a guarantee that you will achieve your goals if you follow her training and nutrition and for me one of my main goals was to get back to the size I was three years ago when I first wore my drysuit and I wanted to do this within six months. I’m very happy to say that with all the help and support of Griffin Fit I have already achieved this and in half that time which is BRILLIANT!! Investing in the services of a personal trainer is really an investment in yourself and although I’ve only been with Griffin Fit for a short time the results have been beyond my expectations, I feel great, much stronger and more confident. I have to say it’s been an amazing journey this far and I can’t thank or praise Liz highly enough and I would recommend Griffin Fit to anyone. Unlike many people who consider finding a personal trainer to help them achieve their fitness and health goals, I had already been training with several in house trainers for two years that were part of the Leisure Centre I had joined at a time when I didn’t know anything about fitness. I realised though after a while that if I was to progress further I would need a much more experienced and qualified personal trainer. That’s why I feel I can confidently say that not all personal trainers are the same and what Lizzie has achieved with me in the nine months I have been under her instruction is nothing short of remarkable. She has helped transform not just my physical body but my whole attitude towards leading a healthier lifestyle. I have never felt this good about myself and I know it’s a direct result of Lizzie’s ability as a personal trainer to bring out the best in me and help me reach my full potential. It is obvious to me now that some personal trainers will simply help you learn to use the gym equipment and then give you a bit of motivation each time you do a session. Lizzie however, was able to do so much more for me than that and I can honestly say that there is nothing more worthwhile I have ever invested my time and money in to after seeing and feeling the physical results she has helped me to achieve. I learned more in the first couple of weeks with Lizzie about training and nutrition than I had in two years with a well-known chain of fitness centres. Lizzie measured my strengths and weaknesses with fitness assessments and it was through this that I discovered I had physical imbalances in my musculature that I wasn’t even aware of causing me to use bad form in certain exercises and have bad posture and movement in my everyday life. Lizzie was able to correct a lot of my bad habits and help retrain my body so that it would correct these problems. Like a lot of people, when I was younger I was rather slim, and over the years I put on more and more weight. Having hit 40 two years ago I decided to try to do something about it. So, I cut back on food, did some moderate exercise and managed to shift some weight. However, after three or four months, the weight came back and over the following two years, even more weight was put on. I had a 15 month old child with another baby on the way and I was determined to still be around to see my children grow up. We all hear about diabetes and heart problems relating to weight and diet and I had already started to feel tired with aching joints so enough was enough. Now, I never stick to diets and can’t stand gyms so I needed someone to push me, someone to be accountable to. Due to running my own business while also having a young family, any spare time is precious so I needed results fast and decided that a personal trainer and personalised diet plan was the best route to take. Having seen some of Griffin fit’s success stories, I signed up! 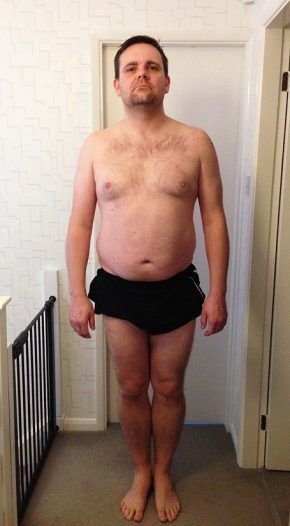 The day I started my training I weighed 109.3kg (17.2 stone). 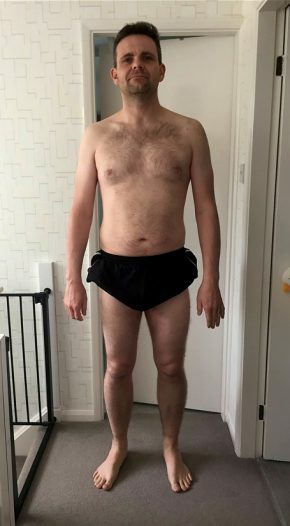 In the first 12 weeks I lost 17kg (2.6 stone). I’m still amazed I originally only wanted to lose 1.5 stone! Food: My diet plan is really good with good portion sizes (particularly the evening meal). Energy: I now have more energy and my knees no longer ache. 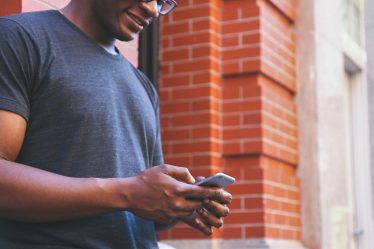 Accountability: One part of the course requires clients to take weekly pictures and weight measurements while at home, which are then sent to Griffin Fit. This really does keep you accountable for your own progress and seeing the change in your own body is all the encouragement you need. I signed up for you 12 week circuit training course in January and I have loved every minute of it. It’s fair to say that it hasn’t been easy and I’ve ached a bit afterwards, however, having dropped 2 dress sizes I am delighted. I am also becoming stronger and fitter than I have been in years, I can even balance and stand on one leg now. I am absolutely over the moon with my progress. I’ve really appreciated the encouragement and personal approach during the sessions this has kept me motivated. I feel the person touch is what sets Griffin Fit apart. I will definitely be continuing with these sessions and I look forward to pushing myself further. I would have no hesitation in recommending you, and Griffin Fit to my family, friends and business colleagues. The service is efficient, friendly and extremely professional. Griffin Fit helped me to commit to regular training that was very effective in changing my body shape. Struggling with dodgy knees Lizzie tailored my training to build up my strength and increased the weight I could handle. I gained confidence in what I could do and Lizzie struck the perfect balance between pushing me to achieve the most and keeping it fun to work out. I started out with body weight squats and in 5 months managed a personal best at 100kg squats. The strength improvements I have made has been brilliant. My knees are a lot stronger now which helps me with my hobby of playing squash. I would highly recommend Griffin Fit for anyone looking for a personal trainer. What can I say, I lost almost 9kg in just a few months after joining Griffin Fit, & that was with just one session with Lizzie per week. Previously I had no idea what I was doing in the gym, I would just go and use a few bits of equipment and feel like I was doing something useful. How wrong was I! Once I joined Griffin Fit, Lizzie began by talking to me about what my goals were i.e. weight loss, tone, health, fitness, building muscle etc. & then after assessing my current condition and stats she tailored a specific fitness and nutrition plan just for me to achieve those goals. I found myself learning so many new ways of working out, & working parts of my body that would never normally get any attention. The one to one sessions are invaluable as Lizzie is naturally a motivator, and knows her stuff! She will push you though, and you WILL achieve your goals. She’s such an easy person to get along with too, you’ll soon see her as a friend as well as a PT. She’ll even organise social events so you can get to meet others who are sharing the same journey. 5 stars for Lizzie Griffin and the team at Griffin Fit. I have suffered from ongoing knee problems for a while, so I had to give up a lot of physical activities. So decided I need to do something to get back into shape, regain some fitness and lose a little weight. I sat down and spoke to Lizzie about what I wanted. She created a unique fitness and food plan for me and told me how to reach my goals. After six months of physical training and food coaching, I had managed to regain a lot of my fitness. 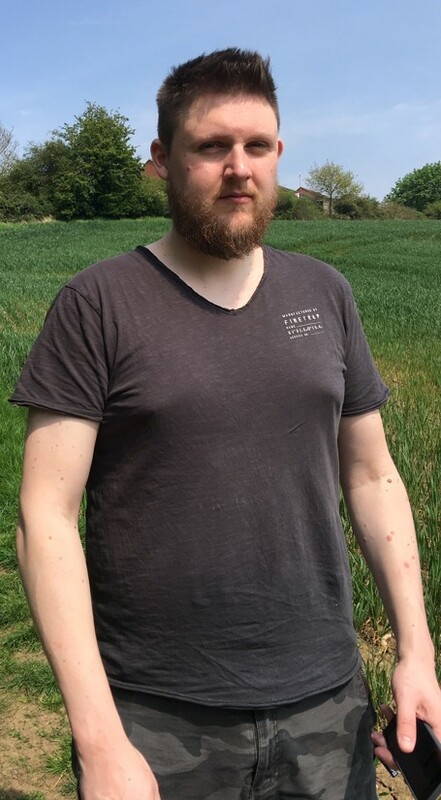 I felt a lot better in myself and as a bonus had lost nearly two stone in weight. The results are clear to see. What made this easier was the motivation and support from Lizzie when it was needed. I enjoy a drink and a good meal and had some bad days off my plan. Lizzie was instrumental in keeping me on track, and helped me over-achieve my targets. When people you don’t see everyday comment on how well you look and how much weight you’ve lost, it’s a real confidence booster. Sometimes the days are hard but the achievements are clear to see. I started with Lizzie in January 2014. I was very scared and worried as I was unsure about what to expect. Due to Lizzie’s personality she was quick to put me at ease and we sat down and went through my future goals and what my expectations were. We set myself some aims and then looked at my fitness level and the types of exercises that were in my ability. Roughly about six months into my training I started the Macro diet, these were initially a struggle but with Lizzie’s help it was made easy and she was flexible with changing my diet to see the results I wished. I started this journey at 92kg and I am currently 72kg with the help of Lizzie. I would without a doubt recommend her services to anybody she is amazing. Such a fun loving person but when you’re being lazy, she sure makes you work for it. I had my diet plan with Lizzie for a few months and wow, what a result! I started in Februar with 25.4% body fat and within four weeks it dropped down to 20.4%. I started to feel stronger, healthier and happier with my training. I have noticed a huge difference and the journey with Lizzie has been amazing – even with me being such a fussy eater. I have been inspired to change my lifestyle, and I am getting one step closer to my goals! Thank you so much Lizzie for all your help and support. I train with Lizzie once a week every Saturday for one hour at the Warehouse Gym. Since starting the training sessions I have seen great results! Before I started with Lizzie I weighed over 63kgs and I now weigh 60kgs. Some people may not think that is a lot of weight loss but please bear in mind I only train for one hour a week and I currently have not altered my diet at all. My motivation to turn up to each session has truly been the results I have seen and felt. Before I started I was a size 12 and am now a size 10 and have in fact nearly reached size 8! I feel a lot slimmer and much more attractive and confident. I have also found the sessions a great way to release stress as well as being relaxing. At every session Lizzie is always at ease and always pushing me harder and motivating me to keep going. Her motivation to make me push harder every session motivates me to keep going. I know that with Lizzie skills, expertise and help, I will reach my goal very soon. My next step to reaching my goal will be to start a meal plan with Lizzie and cut out the foods that are not doing me any good, this will be by far my biggest hurdle but I am sure that with her help I will be able to take it in my stride. I would not and have not hesitated in recommending Lizzie to my friends and family. Thank you again Lizzie for all your time and effort in helping me to reach my goals, it is much appreciated! I have been training with Liz for over a year now. 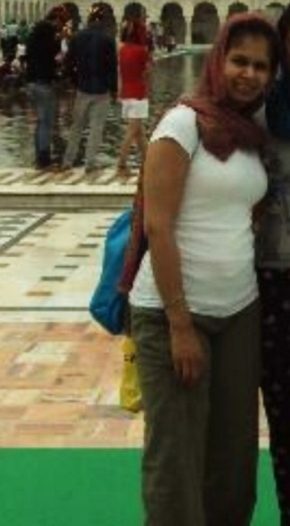 At the start I felt overweight, tired and hated my appearance. Clothes didn’t fit properly and I tried so many crash diets but none of them worked and I was so unhappy at school and struggled with physical education. I have lost three sizes and feel more energetic but the best thing about losing the weight is I don’t have saggy skin and I feel more toned. Training hard has made me eat better and I don’t think I will ever stop training now. I started college this year feeling more confident and I am now getting ready for my summer body. I have always been a cardio girl, but after training for and completing a half marathon in 2014, I decided that I wanted to have a rest from cardio and give weight training a go. However, I didn’t have a clue where to start, and as I also wanted to better educate myself with regards to the nutrition side, I decided my best option was to get a personal trainer for a little while. Liz was recommended to me by a couple of people and I can hands down say I couldn’t have made a better choice. I was terrified of stepping foot in the weights section of the gym, just like every other girl I’d imagine but from my very first meeting with Liz, it was clear that I didn’t need to be worried at all. She listened to what I wanted to achieve and we were laughing and talking like old friends from my first session. More than anything, I wanted to just tone my shape up and feed my body correctly and feel confident about using the weights in the correct way to get the most benefit from them. Liz pushed me to my limits and further in every single session – even when I felt like giving up she would know I wasn’t quite there and push me for a couple more reps and even though I hated her in that minute, I loved her when I saw the benefits! I trained with Liz once a week and followed a carefully tailored nutrition plan from January to June. In that time my confidence has grown immensely, not only in using the weights in the gym but also my own self-confidence and belief. She is an incredible personal trainer and knows exactly what to do to get the results that you want. I suffered a huge health problem a couple of years previously, and would never have thought that I could do half the stuff she got me doing. If you’re even just thinking about using Liz, stop thinking and just book a consultation with her. I promise you won’t regret it! I recommend Lizzie for Nutrition and Training advice; it changed me from going to the gym kind of thinking I knew quite a bit to actually realising I didn’t know a lot at all! To put my journey into context a little, I wasn’t fat by any means and am a sporty person but by following the plan (with foods I actually like), I’m now leaner with more definition. I lift more weights now, I’m hitting rugby pre-season harder than ever before and feel great! All this and I’m actually eating more food than I was before. Lizzie helped me group my exercises together so I would make the best gains. She taught me better ways of improving my fitness with HIIT Training and without endless biking. We have one life and a choice to make on how we want to live it – I made mine! I trained with Lizzie after being very dubious about using a personal trainer and had very low confidence in myself. I was surprised by how understanding and patient she was. We started a training and nutrition programme and over a short period of time, I was already noticing changes in my body and fitness. I had a lot more energy, my skin was clearer, and I reached one of my main goals, which was dropping a dress size! And above all that, my confidence had grown. I have gained strength and with Lizzie’s encouragement, I was able to maintain a new routine and still be happy working hard. I would recommend anyone to use Lizzie especially if it’s something you’re unsure of or nervous about! I look forward to reaching more goals in my future training with Lizzie. I am 22 years of age and currently serving in the Royal Marines. I hired Liz to help me achieve the fitness levels required to get into the marines and to help get me ready for basic training. Liz stood out from other personal trainers with her great variety and enthusiasm in her sessions. Even with limited equipment for use in the gym and other users on those machines, she managed to keep thinking on her feet and sending me off for a new exercise with very little pause in between. Whatever fitness level you are at, Liz will work to it and won’t push you further than what your body can handle, but obviously I needed high intensity fitness training and she made sure it was delivered. It was a shock to the body at first but she managed to make me confident in how far I could actually push my body and ignore my mind trying to make me quit. So to sum it all up, I give Liz top marks for her friendly yet motivational attitude towards myself and very many thanks for helping me into the career, which I’ve desired for many years. P.S. Don’t try and talk to her during the session in an attempt to distract her. She sees right through that! So, I’ve been going to the gym for years and could write a book on my journey with diets. In November I decided to set myself a huge goal: to compete in Miss Galaxy Universe. I started clean eating and doing High Intensity Interval Training (HIIT). I had good results the first two months but then progress almost stopped. Having done my research on personal trainers, I knew Lizzie would be a great help so I contacted her telling her about my huge goal. Within days she had done me a training program and nutrition plan. I was scared at first as I had followed a plan of low carbs, no gluten, wheat or dairy and to my horror my plan included foods such as cheese, pasta and double cream (full fat to). How was that ever going to work I wondered but I trusted lizzie and two weeks later my results have been amazing. I’ve lost a total of 8.1 inches. Not only have my results been amazing, Lizzie has too. I have fired question after question at her and she has always been there to help me and offer support. I highly recommend her to anyone no matter how small or big your goal is. My journey with Lizzie from Feb-July 2015 has been awesome. In the last five months Lizzie has taught me how important nutrition is and what a crucial role it plays in your training. This is the part I have struggled with the most and Lizzie has been on hand pretty much 24/7 with any queries and words of encouragement and support. Each time I have struggled with one nutrition plan she has redone a new one to keep it interesting and help keep me on track. I had never been into weights before and got quite intimidated by all the machines as I didn’t have a clue what I was doing. She has spent the time not just show me how to use them all correctly, but also to explain them in more detail so I feel comfortable knowing what they are actually for! She has pushed me to my limit and beyond, every session was a mix of feeling like I wanted to lay down and cry and burst with a sense of achievement. I would highly recommend Lizzie, she makes the workouts fun and interesting, and there was something new to try every week. 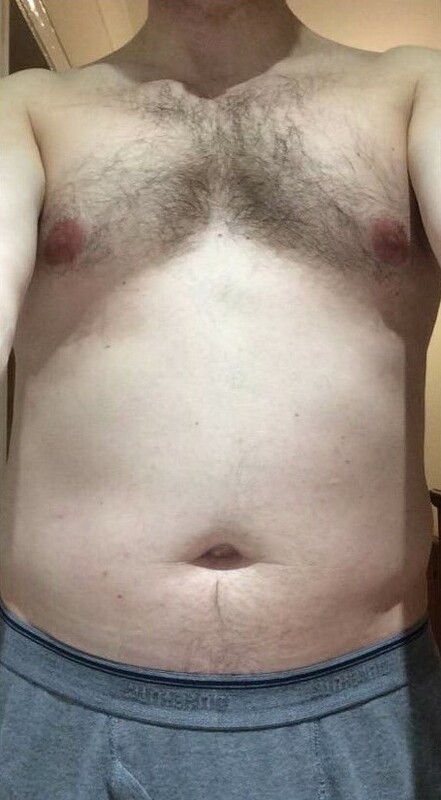 Since starting I have lost 1.5 stone and a total of 25 inches. Thank you for all your help Lizzie. I started training with Lizzie in a bid to lose weight and generally tone up. What I have achieved so far with Lizzie’s help is far more than this! Using weights and various bodyweight exercises, my overall strength and fitness has improved so much in a short space of time that I am able to perform exercises I would never attempt on my own. Each workout is tailored to me so I can achieve exactly what we discussed. I have learnt so much from Lizzie. She is willing to share her expert knowledge and answer any questions I come up with, and I have lots. Her nutrition menu is excellent and her dedication is clear. Hence why I have lost 1st 2lbs in my first month. Lizzie is energetic, fun, committed and inspirational and I can’t recommend her enough!